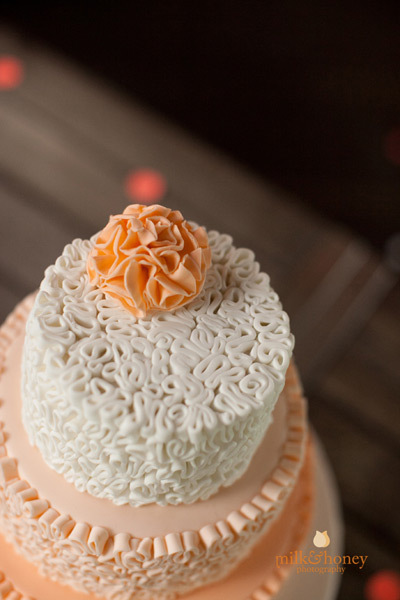 When Alison (of Alison Lawson Cakes) contacted me a few months ago about collaborating on a project, I knew that one of her amazing cakes would be perfect for our special abcd Saturday Soiree, held a few weeks ago. Alison was keen to try her hand at an ombre cake, and once Lisa and I gave her our colour palette for the abcd meetup, she concocted this absolutely incredible three-tiered layered lemon cake. Divine! 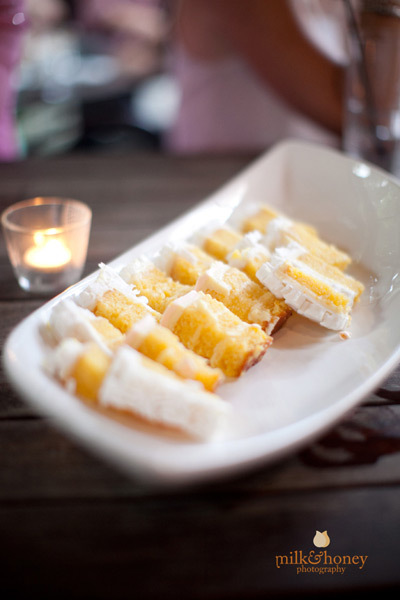 And I can honestly tell you that the cake itself packed a delicious citrus-y punch and was super-moist. Truly a magnificent, and luxurious experience to enjoy. (oh, and did I mention that Alison is the sweetest, loveliest person you could ever work with?). 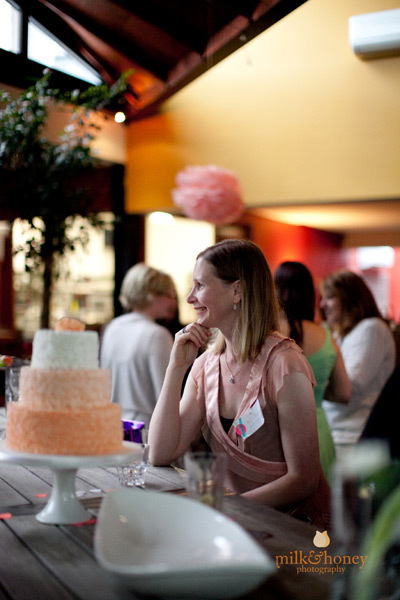 And how about these gorgeous images of Alison and her cake, thanks to the wonderful Anni from Milk and Honey Photography, who captured our event. You can contact Bowral-based Alison via her Website. Thank you Alison for sharing this beautiful cake with us! 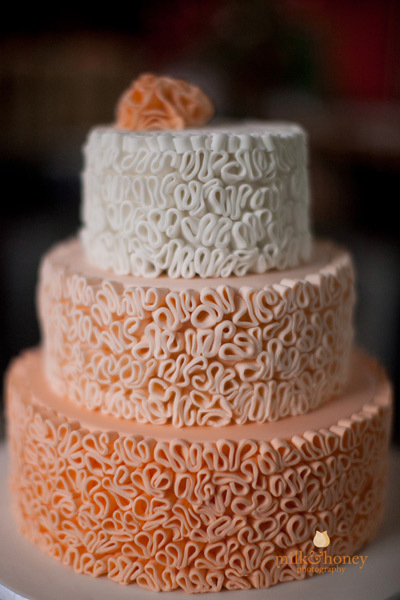 You can read more about Alison Lawson Cakes here on Bondville. Stay tuned for more amazing photos from our latest Sydney abcd meetup. Oh my goodness, what a sunning cake! Are you sure she's not a quilter in her spare time? That's a classic meandering stitch all over that magnificent creation. What a wonderful time you must have all had on this happy occasion. Great memories of a fabulous afternoon Steph! 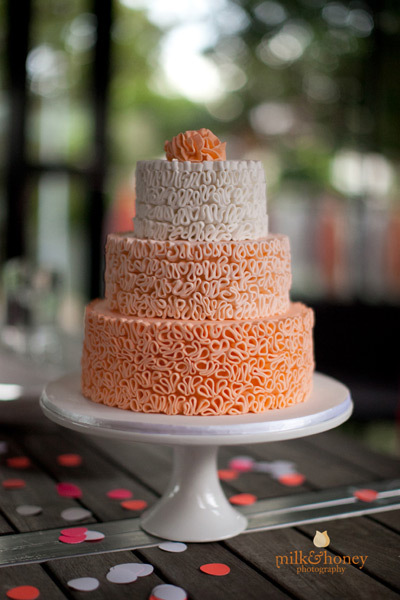 Thank you for featuring my peach ombre cake, and for the opportunity to collaborate on such a lovely project!